Denver wedding photographer R. J. Kern recently placed 5th overall in the ISPWP Fall 2009 Wedding Photography Contest. In this ISPWP interview we find out all sorts of interesting information about R. J., including a unique lighting technique he uses, and how his dogs Dash and Stella got their names. 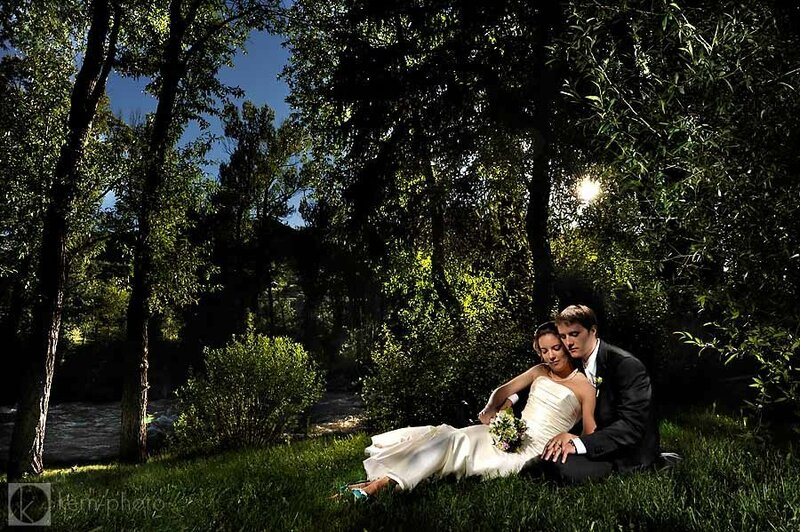 R. J. Kern is an award-winning Wedding Photographer in Denver, Colorado and is and one part of Kern-Photo, a husband & wife wedding photographer team. By balancing emotion with dynamic energy, we approach wedding photography with visual clarity and a thoughtful appreciation of light. We take a fresh approach to photography using a blend of candid photojournalism, modern portraiture, and fun, real-moment photography. 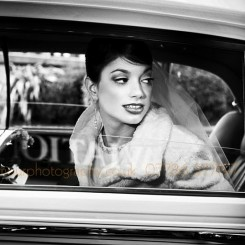 How did you get your start and why you chose wedding photography as a career? I’ve been an art class junkie since high school, taking 14 semesters of art and discovery photography my junior year. My parents were very supportive of my following my passion, and it just took me awhile to find it. In college, I continued to study art in a more formal sense, but also found interest in environmental geography. I graduated from Colgate University in upstate New York with dual degrees: Art & Art History and Environmental Geography. I enjoyed bridging the gap between the two distinct disciplines of art & geography. I began an internship at National Geographic Society which started literally the day after graduation and that changed my world. I was exposed to work-class photographers at the National Geographic Society and not only got a chance to meet them, but see behind the scenes how they worked. I worked in the Map division of the National Geography Society for five years during which I completed my MA in geography from University of Colorado-Boulder. During that time, I was encourage by several National Geographic photographers, along with my news editor, David Braun, to pursue with my passion of photography with intent and did so from what started as a hobby and turned into a profitable business propelled by an invitation by a few friends to shoot their weddings. I did a stellar job, then when Nicole and I got married I REALLY saw the joy in weddings and have been hooked ever since. Wedding Photographers wear many hats and I love the variety of shooting emotion, portraits, landscapes, and details all within the confines of a single day. Despite bad weather, stressful family situations, or anything else that could go wrong on the wedding day, being surrounded by awesome people in love puts everything into perspective, creates this white hot flame of focus and gives me the courage to create. Being a versatile photographer among the most important components of success of this industry, especially when there is pressure to create something out of nothing with little time and resources. Some of our favorite weddings have been held in parents’ backyards (Think: “Father of the Bride”). Emotionally, there’s a sentiment of place that is important to the bride and groom, an intimacy filled with warmth and humanity in being in a familiar place. Practically, this puts people at ease, and generally there are less time constraints and a larger budget for photography. With the current state of the economy, there is a movement of people getting married into sentimentally-important places like a backyard or mountain top and choosing to spend their money on quality vendors. Our top three mountain wedding venues where we’ve photographed weddings include the Ritz-Carlton, Bachelor Gulch (Beaver Creek, CO), The Club at Cordillera (Vail, CO), and the Steamboat Grand in (Steamboat Springs, CO). Those venues boast a genuine sense of place and killer scenery that make me want to live there. Hire a photographer first, and their work second. Before you resonate with their work, you have like them as a person and like the way they make you feel. If you don’t get along with your photographer, or your photographer doesn’t get along with family, disaster may happen. Look for versatility in their work, especially their ability to make ordinary locations extraordinary through their use of light, composition, and way they can help bring out your emotion. Ask for testimonials and don’t be afraid to ask to see several completed albums or even proof work. Anyone can post a few great images, but good work on a consistent basis is a true sign of a professional wedding photographer. Bride and Groom together time. That’s when magic happens and emotions connect in a real sense. Quirky and intimate weddings that showcase the personality of the bride AND groom. Consider a morning wedding. We did and it gave us more time to be together during our wedding day. Plus we love brunch. Consider a First Look. Be yourself. Don’t forget to eat your cake. Don’t be afraid to Delegate. Face the crowd during the ceremony. Know there are rules and rules to be broken in wedding tradition, just know the difference. Avoid the receiving line. Don’t experiment with makeup. Be comfy. Finally, plan alone time. I blogged about this not long ago. Specifically, what do you do to ensure a wedding will go smoothly? We make sure we have all of the information on our “info overload” sheet with is 20+ questions completed at least two weeks prior to the wedding, with details such as addresses, times, names, and situations we should be aware of. We also are provided with info to all the other vendors and will contact them and ask them what we can do to help their do their job better on the wedding day. We also have several “signature” lighting techniques that do not rely on available light that we can pull out anyplace, anytime, with a guaranteed awesome image. Most photographers look for soft diffuse light. How do you work with hard light? Love it, don’t hate it. Leading/perspective lines are created by hard light and using perspective goes a long way to guide the viewers eye toward the subject. Have the client close their eyes and feel the warmth of the sun, especially when it is cold is can be relaxing. Hard light has a distinct look, and if you know how to use it, there is really no need for fast lenses or expensive lighting equipment. What do you do for customer service that makes you stand out? I return all calls and emails within 24 hours. We have several little “surprises” that every wedding clients receives and loves. We don’t have template email responses and individually tailor all of our correspondence to keep things real. We also strive to under-promise and over-deliver, which might mean we may give them some additional time coverage, invite an additional photographer, or include additional pages to their album at no cost. Those little things create value which clients love. Like anything else, you get what you pay for. Lesser experienced photographers often don’t understand the importance of good business practices, duplicate back-up camera gear, off-site data storage, good insurance, and bullet-proof contracts. Without these things in place, it’s not “if” something will go wrong, but “when.” Photographers Toolkit and John Harrington’s “Best Business Practices for Photographers” are good resources. The biggest challenge is setting and maintaining high standards in the industry. The influx of new talent keeps everyone on their toes to stay abreast of changing technologies and techniques, which rocks and keeps creativity alive. 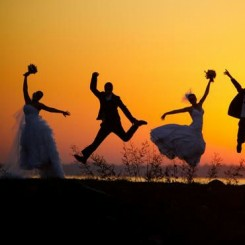 Wedding photography holds enormous potential for creative people who have never picked up a camera. In five years, they’ll be among the ones that will shake the industry by storm, invigorating creativity with a ripple-effect. My wife and I love to ski and snowboard and head to the dog park with our Hungarian Vizsla, Dash, and French Bulldog, Stella. Interesting names! What are the significance of your pet’s names? “Dash” is actually a part of our business name, Kern-Photo, and Stella is the coffee shop in Denver where Nicole and I met. While “Fresh. Modern. Fun” appears on our business card, it’s much more than that…. I would describe my style of photography to be rather PG13 with an edgy flair, totally real with a gregarious spirit, clean and crisp, creative light and color, respect for tradition, and intuitive on when it’s appropriate to break the rules. And formals can be fun and exciting, despite the mindset of even some “new school” photographers. What do you think you offer to clients that is unique? My enthusiasm is contagious and I involve my clients in my work as much as possible. When I’m excited, they are excited. That positive experience is what they remember in their photos. I lightpaint bridal parties all the time and involve them in the process, which they totally dig. My friends know me as the “Macgyver” of creative lighting. That’s something we don’t see many photographers doing. Why do you lightpaint? I get to leave a bit of enthusiasm in each photo, kind of like a signature, but only with light. Not only do I get to run around and play, but there are so many uncalculated “happy mistakes” that make photography so dynamic, like strays of light, color juxtapositions, or odd compositional elements. How long are most of your exposures? Most of my lightpaintings are between about 10-30 seconds in duration. The cool thing about sitting still for that time, is you can actually remember what you were feeling and thinking while the shutter was open, which you can’t do in 1/250 sec as easily. Towards the end of the reception when I’ll bust out the technique, wedding clients dig the thoughtful time in a big way. The few minutes they get alone is a refreshing escape from the dance floor vibe. You bet. We’ve used Graphistudio albums since day one. Albums are an important part of remembering the wedding day that will still be cherished in 50 years. In our wedding, we were handed a DVD of all of our images. It was just so anti-climatic to have all the memories of such an important day on a single disk. It took us over three years to design our album. You know what they say, “the cobblers kid’s have no shoes.” Also, from a selfish perspective, albums make our images shine far better than a computer screen or a small print. The extra work is worth it to have our best work shared by our brides to all their friends. Place has the power to shape people, depending if you are on a sitting on a beach or the floor of a parking garage or standing in the middle of a busy street or on top of a mountain. There are so many dynamic natural elements like temperature, wind, light, color, vegetation, that offer limitless sources of inspiration. Studio lighting techniques used in cinema or magazines, gets me thinking on a whole other level. 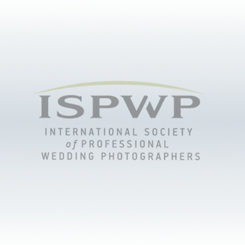 Have you found any products, services, or seminars that have made a difference to your photography or your business? Outsourcing some of our business tasks remains an important part of our business, so we can stay focused on doing what we do best. We love to do business with friends. We have a web programmer, a graphic designer, a marketing guru, an accountant, that all do a terrific job. We have partnered with Pictage to streamline our print fulfillment. Having a day job for the first few years of getting started in our business allowed me to take some risks in developing my style, allowed me to attend workshops, take time away to travel, and pursue continuing education without feeling a pinch. It allowed me to purchase the necessary creative tools to do the job right, gave me the time to build up my clientele and networks, and allowed me to turn away jobs that I just didn’t want to do. Plus, it gave me a great opportunity to travel the country and photograph different people in different places with little risk to my own business. We’ve never taken out a business loan or gone in debt and we are proud of that. Also, paid vacations and holidays rock. Have you taken any workshops or seminars that you would recommend to others? Anything by John Michael Cooper, Jerry Ghionis, or the Boutwell’s Anti-Workshop… they all offer their hearts, their patience, and a great deal of inspiration for your creative and business needs. Jared Platt, Dane Sanders, Melissa Jill, Steve Stanton, and Laurence Kim are phenomenal photography coaches as well. I’m stoked to attend Jeff Newsom’s ULTRAMAGEDDON in January 2010. If I had to list my top three, I would say: The Strobist, Chase Jarvis, and John Michael Cooper. I’m an ispiring photogrpher and I absolutly love this photography style. I honestly hope i’m this sucessfull im my lifetime. POrftrait photos are also a passion of mine so thanks for the inspiration!!!!! Great interview RJ, it was very interesting to read and it’s always fun to see your images. Thanks for sharing! Great article RJ! Invaluable information that any photographer needs to hear and soak in.